Are you looking for a good body wash for sensitive skin? 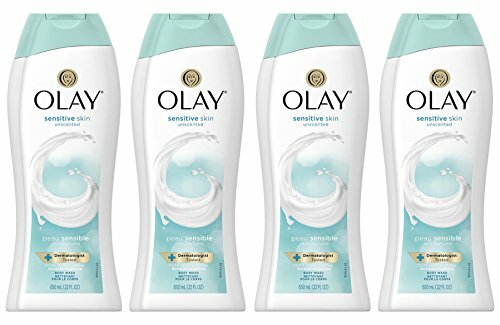 If you are looking for an unscented body wash for sensitive skin, this creamy body wash from Olay is a good option to consider. It has a lightweight formula with moisture lock technology which prevents the skin from drying. It lathers well and rinses easily to leave the skin clean and hydrated. It comes in a pack of four so you can buy it in bulk if you like the formula. The price is affordable as compared to the quantity. The nourishing yet gentle formula of this body wash does not irritate the skin and cleans it gently to reveal a healthier and hydrated skin. The affordable price is an added benefit. 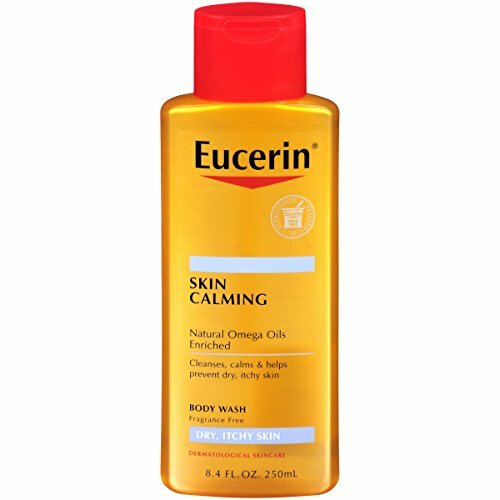 Made with natural omega oils, this calming body wash from Eucerin relieves dryness and cleanses the skin well. The formula of the body wash contains no soap and fragrance so it is suitable for sensitive skin. The body wash comes in a compact packaging with a flip-open cap for ease of use. It does have a strong natural odor which can be too much for people with a sensitive nose. The price is a little high. Eucerin products are known for their soothing formula and this body wash is no different. It cleans the skin well and does not leave a greasy residue. Eczema-prone skin can be difficult to handle but this body wash from Curel cleans Eczema-prone skin effectively. It contains jojoba and olive oil which hydrate the skin and reduce redness and itching. It calms the skin and keeps it feeling soft and smooth for up to 24 hours. This shower gel is especially effective against itching and works on all signs of eczema. The price is really affordable. This body wash is really good for eczema-prone skin and works well in reducing redness and itching. The price is also really affordable as compared to the results. Most body washes do not have antiseptic and anti-fungal properties but this product from ArtNaturals has a powerful anti-fungal formula which keeps your skin clean and healthy despite an active lifestyle. It can be used by people of all age groups and has a paraben-free formula. The body wash contains aloe vera, jojoba oil, tea tree, eucalyptus, oregano, peppermint, and coconut oil. The price is moderate. The formula of this body wash is perfect for people with a very active lifestyle and a sweat-prone skin. The powerful oils kill germs and detoxify the skin efficiently. 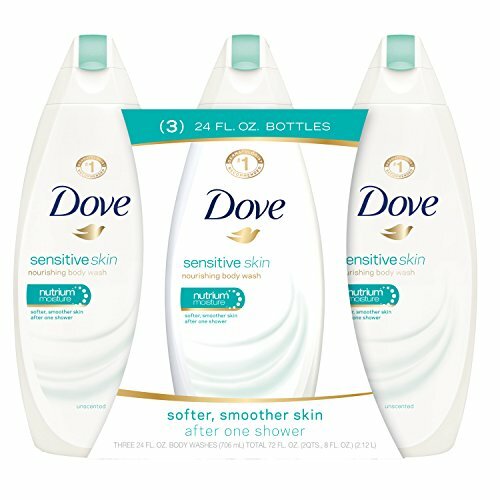 If you are looking for a rich and creamy body wash for sensitive skin, this product from Dove deserves a mention on this list. It has a soapy fragrance but it does not irritate the skin. The body wash comes in a compact and easy to use packaging. It suits all skin types but works well on dry to very dry skin types. It removes dirt and dead skin and keeps the skin smooth and soft. The price is a little high. This body wash from Dove is a bestseller from the brand and lathers really well. The soothing scent has an uplifting effect on the mind and the body. With 2 styles and 3 sizes to choose from, this skin relief body wash from Aveeno contains soothing oatmeal and emollients for gently hydrating the skin and reducing dryness. The formula of the body wash is soap-free and hypoallergenic so it does not irritate the skin. It has a very faint odor which does not stay for long on the skin. The packaging of the body wash is a little bulky but you can buy small reusable bottles to fill them for traveling. The price is affordable. 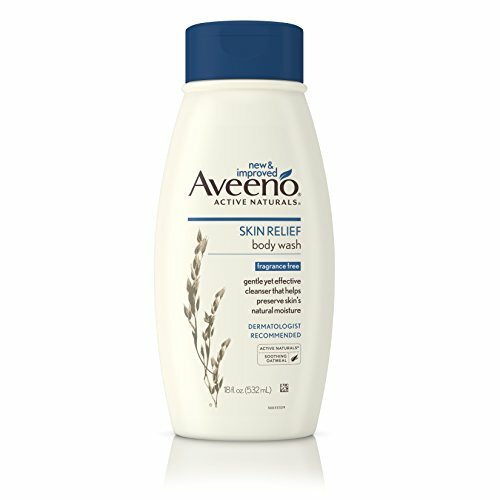 Aveeno is known for its products for sensitive skin and this body wash does exactly what it claims to do. It cleans and moisturizes the skin and reduces itchiness. 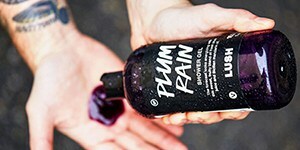 Available in 9 scents and 3 sizes, this body wash has a vegan and cruelty-free formula made up of plant cleansers. It contains olive oil, aloe vera, vitamin E, and does not have any fragrance. It has a very soothing scent which does not linger on the skin but leaves a fresh feeling on the skin. It does not dry out the skin and keeps itching under control. The pump packaging makes it all the more easy to use this body wash. The price of this product is reasonable. This plant-based cleanser works really well in cleaning up the skin and the natural and organic formula does not have any side-effects like drying or itching. Cetaphil is one brand which makes soap-free cleansers which are certified by the National Eczema Association so this body wash from the brand is perfect for sensitive skin. It has a gentle formula made with skin-nourishing oils that hydrate the skin and restore the pH of the skin. The body wash is made with advanced technology that forms a moisture barrier on the skin to retain moisture. The price of this wash is slightly higher than other products from the same category. The mild and non-irritating formula of this body wash is a great relief for chronic dry skin. The soothing scent and the lightweight packaging are added benefits of this body wash. 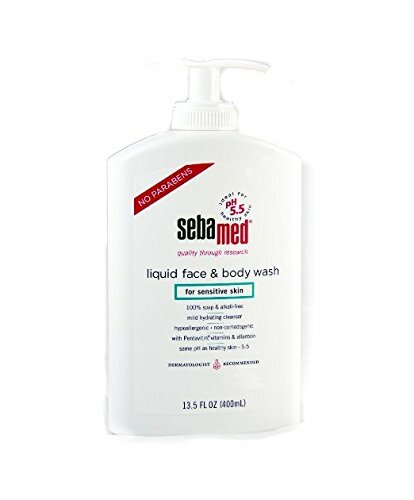 If you are looking for a 100% soap and alkali-free body wash, you should consider this Sebamed body wash as it contains natural hydrating agents that nourish the skin and clean the pores gently. It lathers well and rinses easily to give you a clean and moisturized skin. This body wash also balances the pH of the skin and absorbs excess oil to help you get rid of the greasy feeling. The price is economical when compared to the quantity. The packaging of this body wash is good when you are in a hurry. The formula is really soothing and gentle with absolutely no harmful chemicals. Made with wild soapberry, cucumber, aloe vera, and shea butter, this organic body wash can be used to treat psoriasis, eczema, acne, dermatitis and other skin concerns. It has antibacterial and antifungal properties and lathers well so clean the skin effectively. The body wash has a fresh peppermint fragrance which awakens the senses. The price is high but you can get this body wash at a discount online if the formula suits your skin. 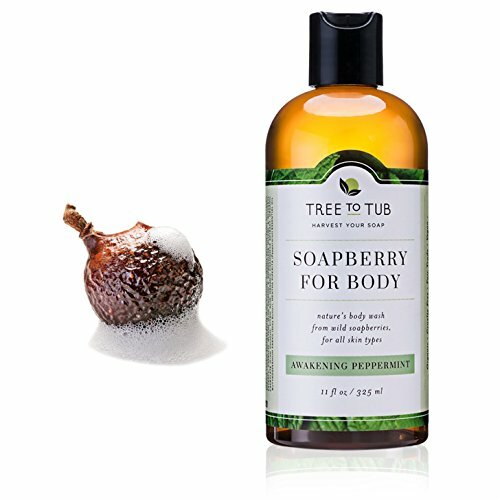 The wild soapberries used in this body wash are organic and provide rich lather without any chemicals or synthetic soaps. The formula reduces skin allergies and has anti-fungal properties which keep the skin healthy. Buy a body wash which is formulated for your skin type. Choose a creamy body wash for dry skin and a clarifying body wash for oily skin. Sensitive skin can also be of many types and have different skin concerns like dryness, redness, itching, eczema, psoriasis, etc. Go for a natural and organic formula if you have sensitive skin as the chemicals used in most body washes can irritate the skin and leave it feeling dry and rough. Read the label and look for ingredients like shea butter, allantoin, natural soapberry, olive oil, and other soothing ingredients which hydrate the skin without causing discomfort. 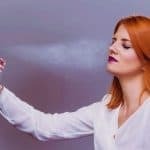 Stay away from products which have synthetic fragrances added to the formula. 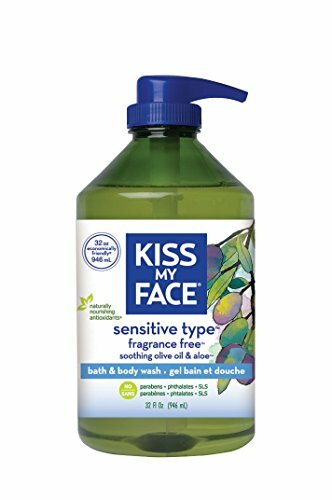 Body washes are available in many different types of packagings so you can choose from a flip-open bottle or a pump bottle as per your convenience. Some brands also sell smaller bottles for traveling purposes. Do not buy a large bottle of a body wash unless you have tried it first and it suits your skin. You can get a good body wash for sensitive skin in around 10$ to 30$ depending on the formula and the brand. Organic body washes tend to be a little costlier than chemical-laden washes but they offer many advantages in the long run. Buy a body wash which nourishes your skin and leaves it feeling soft and clean. You can go online and find some deals or discounts which will help you save some money on your purchase. You can get an idea about the effectiveness of a body wash on sensitive skin by reading the customer reviews shared by people who have used the product. These reviews will help you choose the right body wash for your skin type and will also help you learn more about the side-effects of the formula if any. Try and use a clean loofah to apply the body wash to your skin as loofahs can accumulate germs and can transfer them to your skin if not cleaned properly. Prefer a body wash over soap as body washes are comparatively more hygienic as compared to soaps as the chances of product contamination are minimal. Rinse the body wash completely as few body washes can leave a greasy residue on the skin which can make you uncomfortable. Read the label of the body wash carefully to understand the ingredients and check for any allergens which can harm your skin in the long run. Do not switch your body washes too frequently as this can play havoc with your skin and make it dry and sensitive. Do not share your loofah with others as this can lead to skin allergies due to the transfer of germs. Keep separate loofahs if you live in a shared accommodation. So these are ten of the most popular body washes for sensitive skin which are used by thousands of people to keep their skin clean and healthy. These body washes use natural and gentle ingredients which do not break out the skin and leave it feeling and looking soft and smooth. You can use this buyer guide to select the right body wash for your skin concern which will soothe your skin and improve its quality with regular use. Is it good if I use body washes for my sensitive skin instead of soap? In fact, soap is not a good friend to sensitive skin. But the soap works well for dirt areas so keep soap for that. If you are a sensitive skin, so your body washes are your best choice to safe and mild your skin. I wonder is it necessary to use body lotion after every shower? Absolutely sure! You can use body wash as more as you want because it’s mild and safe to your skin. However, you shouldn’t forget to apply lotion every time after showering. Your skin will be soft and healthy. I’m addicted to Tree to Tub Organic Body Wash.